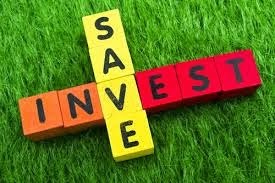 The multiple suggestions for investments and various tax saving instruments to opt amongst many options and the ever contradictory advices and various opinions and this is not the end, to add to the woes further the deadline of the financial year end is appears to be approaching head-on much faster. Most of the taxpayers find themselves in the wrong foot in such types of circumstances right from the beginning of the year itself when they are supposed to make the wiser decisions of best tax savings and the investment instruments. Just like every financial year end you are again at the cross roads and scrambling to maximize your tax savings in the last leg of the year. This year the deduction limit has gone up to 50%to touch 1.5 lakhs which can be claimed as the tax deduction under section 80c and this is the best opportunity for you to best utilize the additional sum so as not only to maximize your tax benefits but also to reap and explore the best ever possibilities of utilizing your money which fits best in the overall financial plan. As most of the people are underinsured so this is a ripe opportunity to take the proper life insurance cover and also take the best use of this golden opportunity to cross check your other financial responsibilities at hand like the children’s education and the retirement plans. There are various products to choose from under section 80c on the 5 basic parameters like the returns, the safety of your investments, flexibility factor, liquidity and last but not the least the taxability factor. However every instrument has its own pros and cons, one of the options is PPF which may not ideally give you a very high returns but PPF gives you a tax free status, flexibility on the investments and liquidity through both loans as well as withdrawals. Than is the option of equity linked savings schemes ( ELSS) which has the feature of good returns, flexibility, liquidity and the tax free status also but the traditional policies are the all time favorites amongst the tax payers but has low returns and is also known as notorious rigidity. It depends upon the time frame of investments which you have in your mind for example the PPF comes with a 16 year lock in period and on the other hand the ELSS has the shortest lock in period of just three years and this evaluation will only help you as an investor in selecting the investing instruments based upon your financial goals. Options are ELSS, retirement plans and NPS offered in the life insurance plan or the mutual fund. Ulips is one of the hot cakes as far as the investment instruments are considered because as an investor one can shift the money from the equity and the debt funds without any tax liability. The public provident fund becomes even more so attractive when the interest rates were linked to the bond yields in the secondary markets as the small saving scheme has been an all time favorite tax saving tool but the linking of its interest rate to the bond yield in the secondary market has even made it hot cake amongst the investment instruments. So this is the best time to cover dual aspects in one shot that is ---- investments and savings.